The compelling story of the Brontes is told through the things they wore, stitched, wrote on, and inscribed at the parsonage in Haworth. From Charlotte s writing desk and the manuscripts it contained to the brass collar worn by Emily s dog, Keeper, each object opens a window onto the sisters world, their fiction, and the Victorian era. By unfolding the histories of the things they used, the chapters form a chronological biography of this interknit family. A walking stick evokes Emily s solitary hikes on the moors and the stormy heath itself a character in Wuthering Heights. Charlotte s bracelet containing Anne and Emily s intertwined hair gives voice to her grief over their deaths. 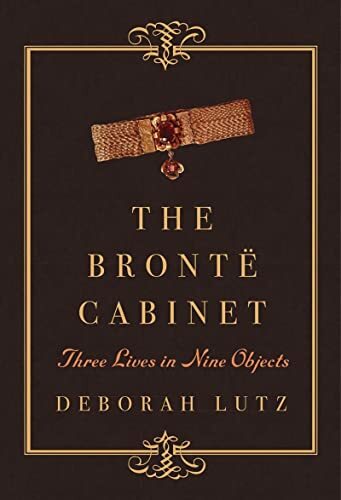 These possessions pull us into their daily lives: the death of their mother and two sisters, the imaginary kingdoms of their childhood writing, their time as governesses, and their stubborn efforts to make a mark on the world."